Brian and Jenn Johnson are the worship pastors at Bethel Church in Redding, California. 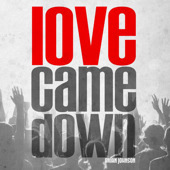 They have written numerous songs that have become favorites in churches worldwide. Their simple approach for God and life shows in their worship and teaching. 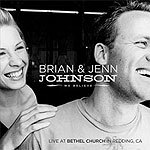 Brian and Jenns latest project "We Believe" is a collection of twelve original worship songs recorded live at Bethel Church in Redding. It has a very creative and modern sound while never losing its worship soul.